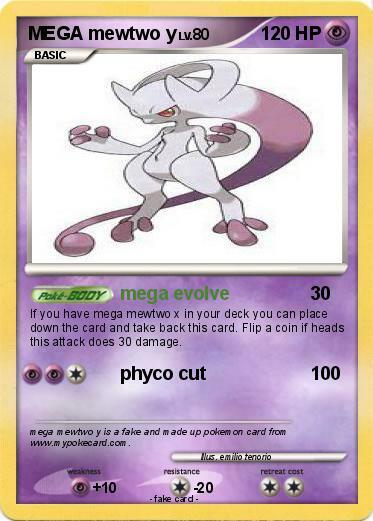 If you have mega mewtwo x in your deck you can place down the card and take back this card. Flip a coin if heads this attack does 30 damage. Comments : mega mewtwo y is a fake and made up pokemon card from www.mypokecard.com.